Maxie Heating & Cooling is proud to serve the Williamstown community! About Williamstown, NJ - Happy to be your hometown Heating & Air Conditioning Contractor! Williamstown is located in Gloucester County, New Jersey, approximately twenty miles southwest of Philadelphia. Situated wholly within the Township of Monroe, Williamstown is home to more than 15,000 residents who enjoy the excellent schools, affordable housing, and friendly citizens that define the spirit of this close-knit community. Located on the northern periphery of the humid subtropical climate zone, Williamstown experiences hot summers, cold wet winters, and beautiful mild weather during spring and fall, making it a great place to live or visit anytime during the year! Residents and visitors to Williamstown will find a host of opportunities for outdoor sports and recreation at their disposal. 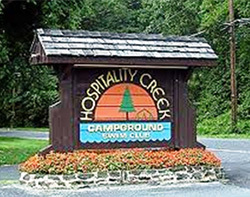 Located just minutes from the heart of Williamstown is Hospitality Creek, a full-service campground and swim club that features an Olympic-sized swimming pool, 30-acre lake, picnic grove, and playgrounds, as well as some of the best boating and trout fishing in the state of New Jersey! Hiking and biking enthusiasts can enjoy an outing on the Monroe Township Bike Trail, featuring more than six miles of paved asphalt between the communities of Williamstown and Glassboro, while golfers can spend an afternoon on the greens at Scotland Run Golf Club, ranked among the top fifty public golf courses in the U.S. and best in the Philadelphia area. Centrally located within the county and convenient to the cities of Philadelphia, Atlantic City, and New York, Williamstown is ideal for living, working, and visiting in northern New Jersey!